Our Cat & I series explores the incredible relationship between owner and cat — the joys and benefits of owning a cat in this hectic, fast-paced world. This month’s Happy Together duo are Claire and Pumpkin. 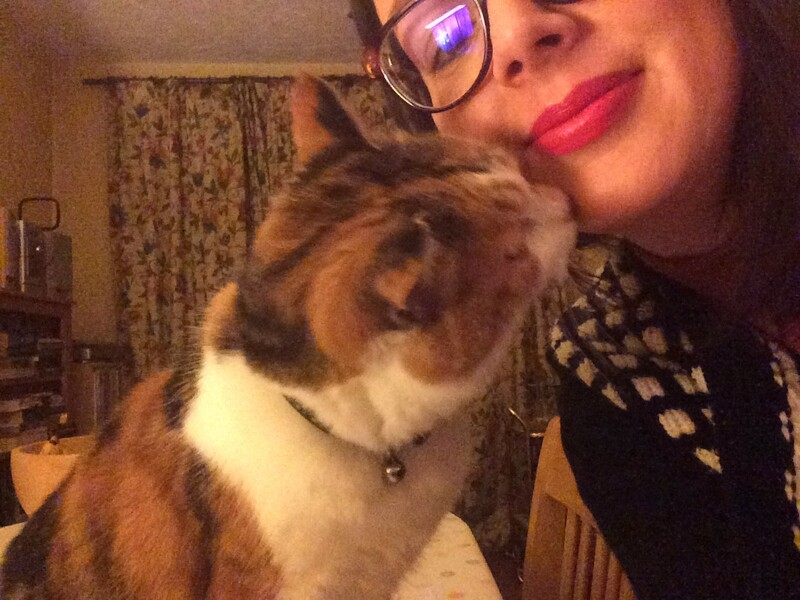 Claire is a Communications Manager who lives in Stafford with Pumpkin, her 10 year old Calico American Shorthair. We sat down with Claire to discuss how Pumpkin joined her family, her chirpy nature and what makes their relationship so special. How did you meet Pumpkin? Tell me the story of how she came to you? 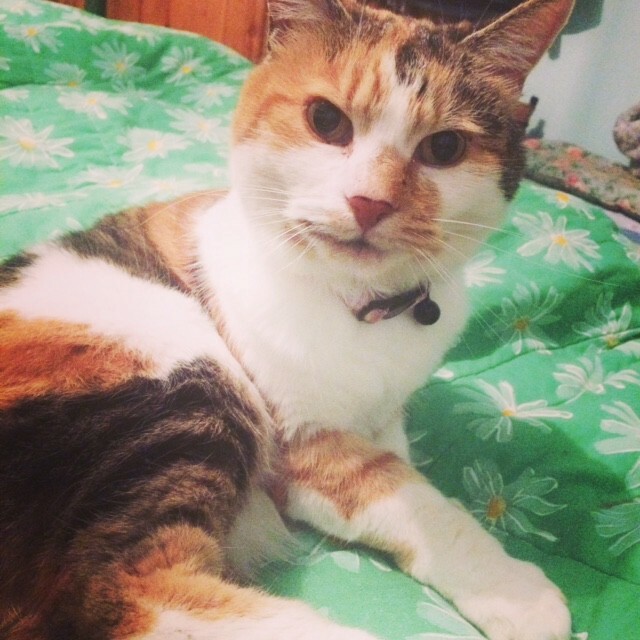 We rehomed Pumpkin from a rescue centre after one of our cats sadly passed away — we’d always planned to get another cat and the time was right. When we visited, Pumpkin was the friendliest of the bunch and I immediately fell for her charm. We were told she was 10 years old and that her elderly owner had died, but other than that, she had little back story. What is Pumpkin like at home? Have you had any issues/ with Pumpkin? What was your solution? A few months after joining our family, we began to notice that Pumpkin would get a little restless at night and would often cry. She’d also jump on us in bed and try and wake us up. We weren’t 100% sure why and assumed it might be a sign of grief for her previous owner or moving several times in recent months. It was tough to see her like this, we didn’t know how to fix it. We’d heard about FELIWAY Classic and how it was a great option for relaxing cats and helping them through difficult situations, so we tried plugging in the diffuser around the home. 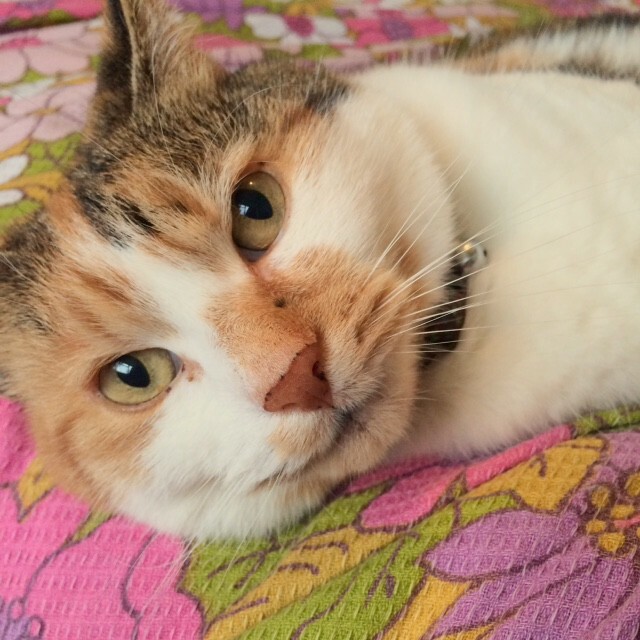 After using FELIWAY Classic for a short time, we began to notice that Pumpkin seemed less nervous and much calmer at night. Using the diffuser regularly has really helped her to be a happier together with us. What’s the best thing about your Pumpkin? How does she make you smile? She makes me laugh every day. When I come home from work, she is always at the door waiting for me, and then her routine is to go into the porch to scratch the doormat! 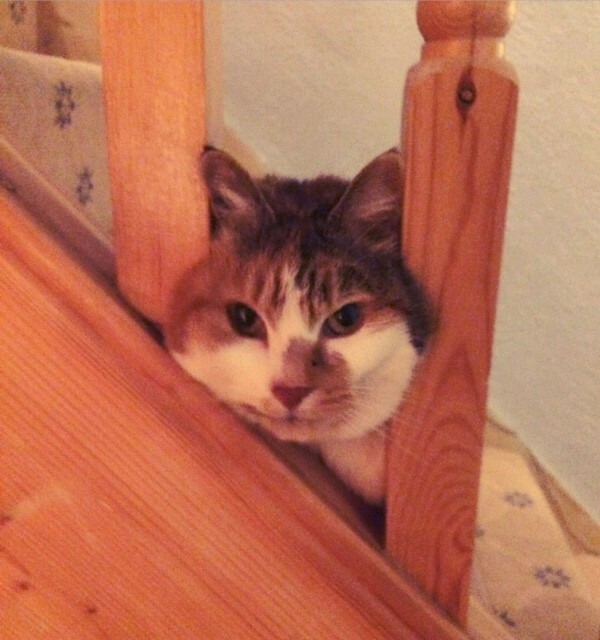 She also enjoys putting her head through the stair bannisters for some reason. She is very comical. 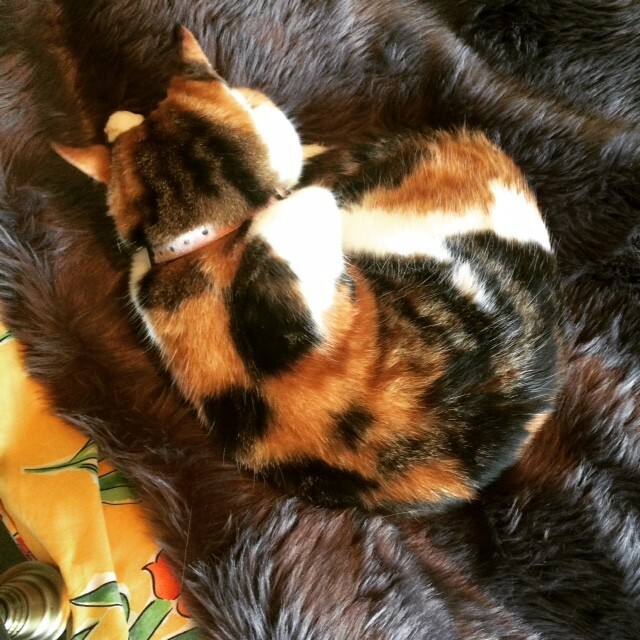 What is Pumpkin’s favourite thing to do? Cuddles and sleeping in her cat bed, in the window in the sun. She loves the garden too and had fun last year with one of our frogs in the pond — who constantly outwitted her! What is Pumpkin’s personality like? 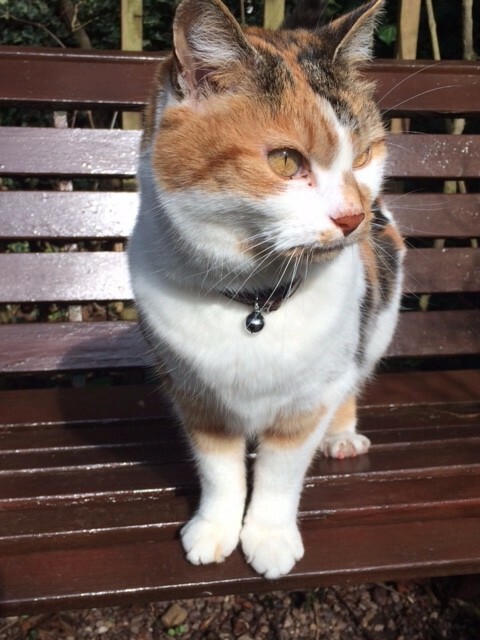 Pumpkin is very ‘chatty’, lively and she makes us laugh all of the time. She loves nothing more than a good cuddle and often climbs on my shoulders. She seems to enjoy posing for photos too! Does Pumpkin have any playful habits? If I’m doing any work on my laptop at home, she will jump on it and won’t let me type. We also know when she has ‘naughty eyes’ — it usually means she’ll start running around or jumping on our shoulders! What makes your relationship with Pumpkin so special? 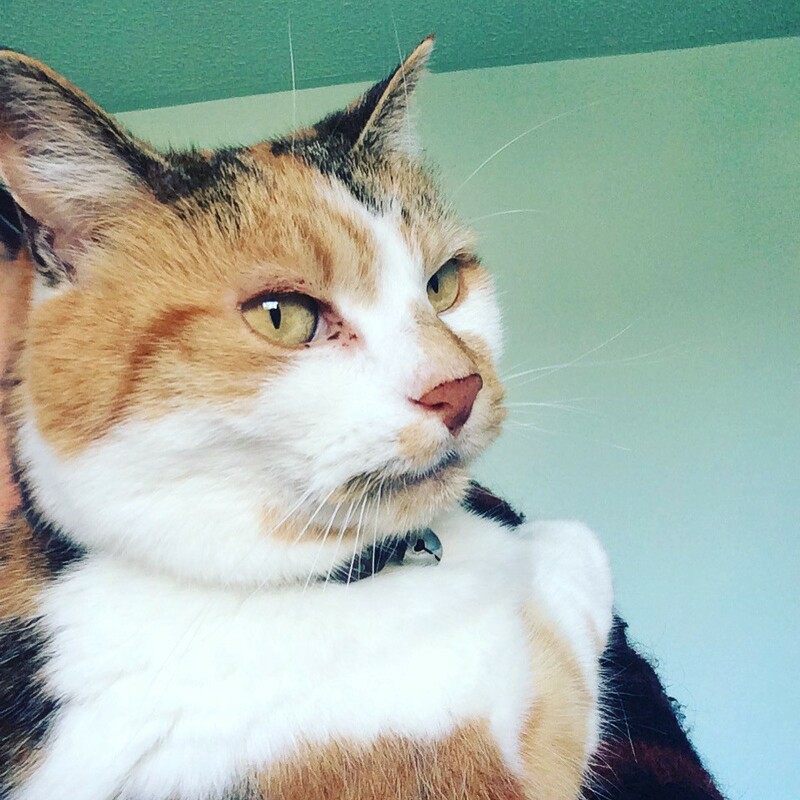 Each of our cats have their own personalities, but Pumpkin is especially affectionate and I’ve never really had a chatty, chirpy cat before so she’s great fun to be around. She certainly makes her presence known. I pretty much dote on her to be honest, and friends and family who’ve met her also fall for her! She’s a friendly, unique cat and we get so much love from her and vice versa. You never quite know what she’s going to do next!